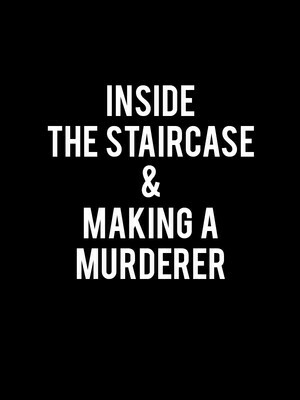 Why See Inside the Staircase and Making a Murderer? In 2015, Making a Murderer captured the minds of the nation. One of Netflix's first true breakout hits, this riveting documentary examined the investigation into, and subsequent trial of, Steven Avery and Brendan Dassey, who stood accused of murdering photographer Teresa Halbach. In 2018, one of the show's forebears, The Staircase, finally arrived on Netflix more than a decade after it was shown on the Sundance Channel , introducing millions more viewers to the behind-the-scenes story of Michael Peterson's trial. 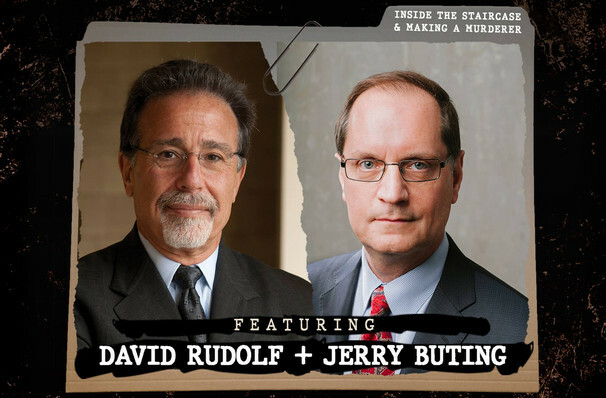 Avery's lawyer Jerry Buting and Peterson's lawyer David Rudolf come together for this tour, in which they'll be diving into the details of their respective cases, as well the state of the American justice system as a whole. Seen Inside the Staircase and Making a Murderer? Loved it? Hated it? Sound good to you? Share this page on social media and let your friends know about Inside the Staircase and Making a Murderer at Gramercy Theatre. Please note: The term Gramercy Theatre and/or Inside the Staircase and Making a Murderer as well as all associated graphics, logos, and/or other trademarks, tradenames or copyrights are the property of the Gramercy Theatre and/or Inside the Staircase and Making a Murderer and are used herein for factual descriptive purposes only. We are in no way associated with or authorized by the Gramercy Theatre and/or Inside the Staircase and Making a Murderer and neither that entity nor any of its affiliates have licensed or endorsed us to sell tickets, goods and or services in conjunction with their events.